Small Skipper and dew drops. I must say I am enjoying this challenge. The Eurasian Red Squirrels have such amazing ears! Great photos, Lars. 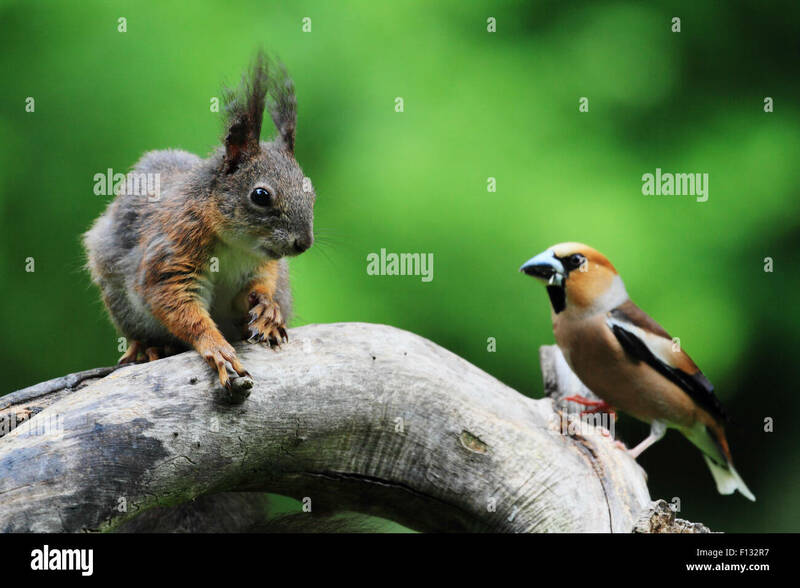 Is it just me, or does the squirrel look utterly terrified of the hawfinch? The Hawfinches were actually quite agressive towards each other. That said I think the squirrels were the boss at this place. Domestic and Toulouse geese (anser anser domesticus) crossing the road, Bergues, Hautes de France (or Nord- Pas- de- Calais for the old-fashioned). There you go Geoff. Sorry about the geese but it's an irresistible scene. Here we are, the last day of the ‘Sepember Challenge’. You have until midnight for any last submissions. It’s going to be quite tough trying to choose a Top Ten from the excellent entry’s submitted so far. There’s a wide variety of shots with Critters, big and small, getting up to all sort of things, in all sorts of different places! Here I go again. Traditionally it is the "Top Eight" though a couple of judges have selected ten. It's your choice.